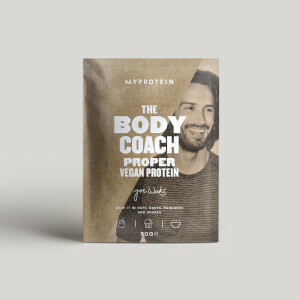 When to take The Body Coach Fruity Vegan BCAA? 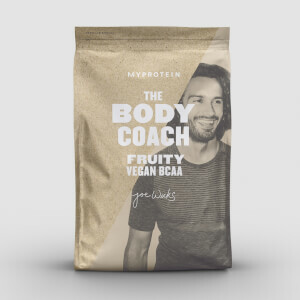 What does The Body Coach Fruity Vegan BCAA work well with? 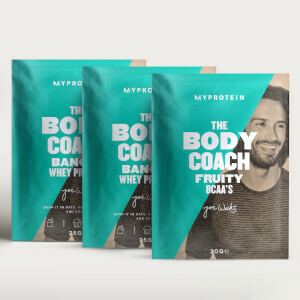 Berry Flavour: Fermented L-Leucine, L-Isoleucine, L-Valine, Flavouring, Acid (Citric Acid), Colour (Beetroot Red, Anthocyanins), Sweetener (Sucralose). Fermented branches chain amino acid 2:1:1 (Leucine:Isoleucine:Valine) ready-to-mix powder. Berry Blast flavour with sweetener. Food supplement.